My 6.5 year old son had only ever had 3 or 4 dry nights ever! We tried many other methods, everything anyone suggested, and nothing worked. He was getting frustrated because his younger brother had been night trained since he turned 3. I happened to see something online when I was researching more, and I was a little skeptical and wasn’t sure it would be worth the cost. When I told him about the alarm he was excited and couldn’t wait for it to come so we could start. The first few nights the alarm woke him up, but he was wet. Then the alarm would go off at night and stop him from actually peeing and he would go pee in the toilet. After 2 weeks the alarm wasn’t going off anymore and he was holding it all night. A month after we started he was no longer using the alarm, and it’s now been 2 months completely dry every night with no alarm!! Definitely worth the cost, as who knows how long I would have still been buying pull-ups. I have never wrote a review but I bought this after googling a product for my 10 year old. With the positive feedback I tried it. The first week I have to say was HORRIBLE but it’s because it beeped so many times throughout the night but it was doing it’s job!! Each time she heard the beep the underware was less and less wet. The first week she had 2 dry nights and then 5.. we had a hard time keeping the device on her underware so duct tape was a miracle ! Just keep getting up with your child those first few weeks and I promise you will see results. This is a game changer for our family life! To have a child who can now sleep over her friends or who hides when you buy pull-ups and now it’s not needed is just amazing. 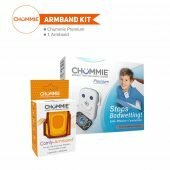 Thank you thank you for such a great product chummie company! My son soaked through goodnight pull-ups EVERY SINGLE NIGHT! He has never had a dry night and he just turned 8. We told him about the chummie and one day he said he was ready to give it a try. The first night was rough- he didn’t wake up to the alarm, but everyone else in the house did! Lol...BUT- he quickly started responding to it and we are in week 2 and have had 3 completely dry nights! What is also great is that even though some nights the alarm still goes off, he stops urinating when it sounds and gets up to use the bathroom. We did put a stash of undies and pjs in the bathroom to make it easy for us at night- and I do go in with him if it sounds because he is a deep sleeper and while he is waking up, he is super groggy and I want to help him so he isn’t losing too much sleep. 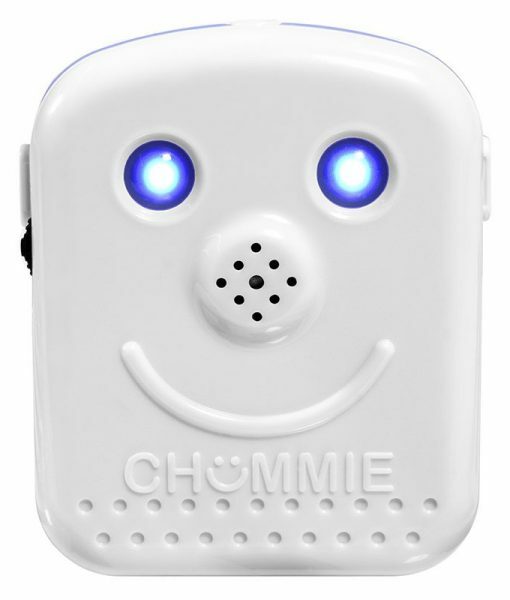 Anyway- we are so excited about Chummie! He is feeling proud!! Does this work on pull ups? Or does the child have to wear underwear? The features of this magic tool did the trick after no success from any other type of potty training at night. We wish we had tried it sooner!